Recent years have seen big changes in the way people buy used cars, mainly due to the internet and web sites such as Autotrader and Ebay it is no longer the norm to buy a car within a few miles of your home or office. Whilst this situation has given buyers a greater choice of nationally advertised used vehicles, it has also created a bit of a problem in getting that recently bought or sold car to it’s new owner. This is where we come in ! Dorset-Airport-Cars is able to offer a nation wide collection and delivery service for roadworthy used cars that have a current MOT. The service is based around used vehicles that need to be collected from, or delivered to Bournemouth and the surrounding area by road. Distance is not an issue, we will collect a vehicle from anywhere in the U.K (excluding Ireland) and deliver it to the Bournemouth area, or collect from the Bournemouth area and deliver nation wide. We are extremely fortunate that one of our drivers has spent over twenty years in the motor trade and held positions such as ‘Used Car Buyer’ for several franchised dealers. This means that you have a genuine used car expert collecting your most recent acquisition for you ! 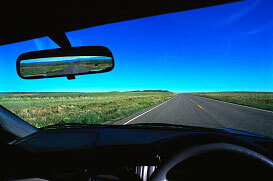 On arrival our driver will fully appraise the car for condition, carry out a road test and check all documentation. Once these checks have been carried out he will ring you with his findings, once you are happy that the vehicle is ‘as described’ he will bring the car to you. This is an invaluble service to the motor trade and private buyers alike and could save you lots of time and big money ! For the motor trade we offer a cheque collection service from your dealership, and we will not hand your money over until we have your ok. Please feel free to ring with your requirements and we will be happy to discuss prices and the services we can offer.